This past March, I celebrated 25 years of being employed by The Walt Disney Company. Little did I know when I joined the company on March 29, 1990 that I’d be here this long or enjoy the company this much. Disney has a wonderful way of making employees (or Cast Members) feel special. Longevity is rewarded with service pins, congratulatory letters, service statues and even an end of year service celebration. 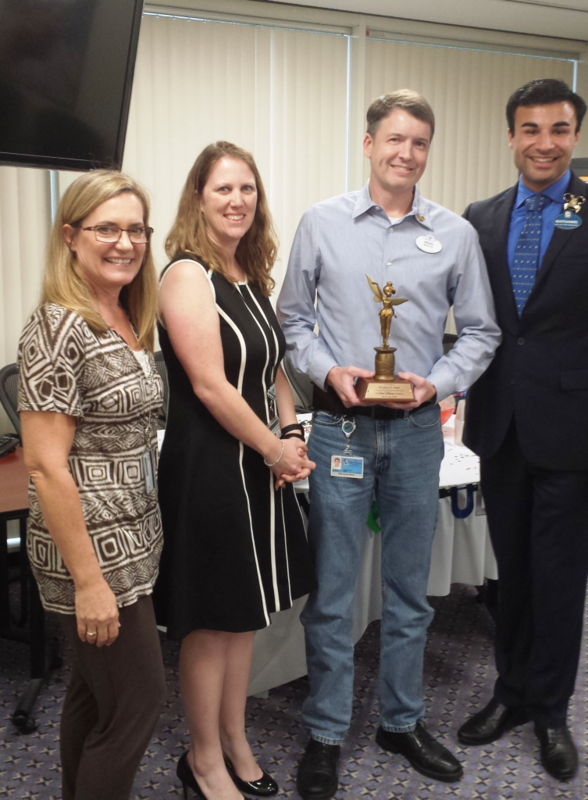 Part of my March recognition even included a visit from WDW Ambassador Nathaniel Palma! I think the best part about working for the Walt Disney World Company is knowing that I’m part of something bigger than a job. I’m working to make a difference in people’s lives. Each and every day, thousands upon thousands of people are delighted and entertained at Walt Disney World and I’m so glad that I have played a tiny role in that for over 25 years. In March, I celebrated 25 years of being employed by The Walt Disney Company. Little did I know when I joined the company on March 29, 1990 that I’d be here this long or enjoy the company this much. Disney has a wonderful way of making employees (or Cast Members) feel special. Longevity is rewarded with service pins, congratulatory letters, service statues and even an annual service celebration. Part of my March recognition even included a visit from WDW Ambassador Nathaniel Palma! But I think the best part about working for this company is knowing that I’m part of something bigger than a job. I’m working to make a difference in people’s lives. Each and every day, thousands upon thousands of people are delighted and entertained at Walt Disney World and I’m so glad that I have played a tiny role in that for over 25 years.